Big 5 is a beautiful modern interpretation of the common coat rack. Structure painted plate white with 5 satinized semi-transparent plastic hooks. 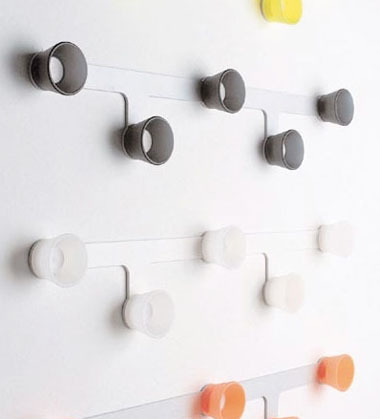 Attaches to the wall with regular screws. Dimensions: 30" width x 1.75" depth x 5.5" height.